I've always loved strawberry lemonade. There was a little cafe in my California hometown that served up fresh strawberry lemonade with lunchtime sandwiches and homemade potato chips. Blackberry pie for dessert. So good. 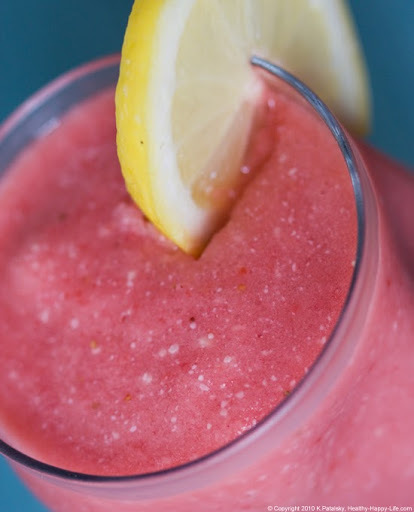 This smoothie takes me back to those sunshine flavors. 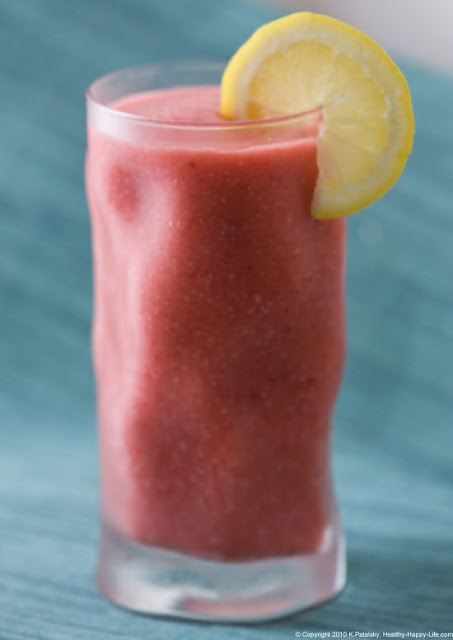 This smoothie takes that sweet-tart fruity flavor of strawberry lemonade and blends it into a thick and frosty smoothie. I even added in a handfuls of raw cashews to add texture - as well as some added fiber and healthy nut goodness. 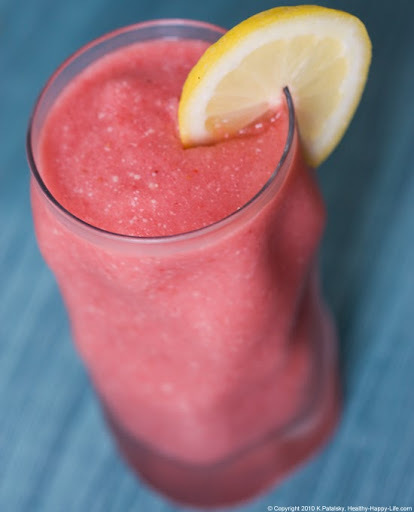 You can use fresh or frozen strawberries - I like a blend of both. You can use store bought lemonade or make some fresh yourself - sweetened with agave or maple syrup is my favorite. Party Bevie. 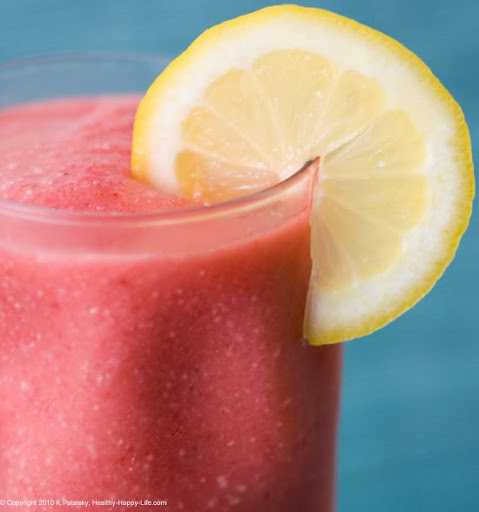 You can even substitute some of the lemonade for a few shots of vodka - if you want to make this into a frosty party cocktail. Summer sunshine approved. 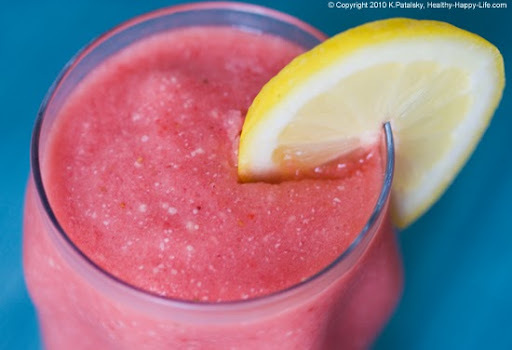 Feel like a true surfer girl or boy as you sip this bright pink glass of refreshment! Ocean breeze not included.